Burning nearly a thousand calories before 8am is certainly a fine way to start the day. 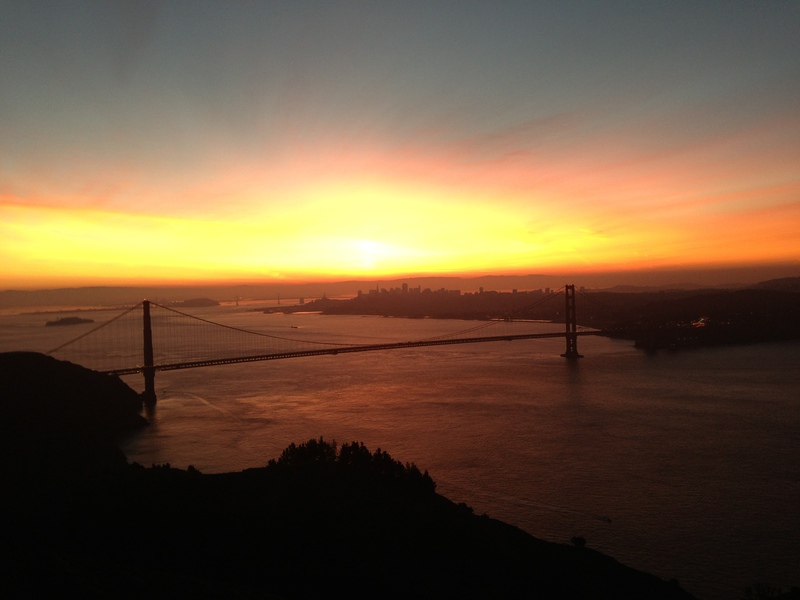 It’s even finer when pedaling across the Golden Gate and up Hawk Hill to the top of the Marin Headlands, all before sunrise. Looking East Across The Bay, Just After 7am. That is one of the most awesome pictures of the Golden Gate bridge that I have ever seen! I’ll have to use this as my desktop wallpaper!